~ by rfreeland on November 20, 2011.
obviously you do not understand the basics of macroeconomics. Such things as crowding out (broken window) only occurs when the labor market is at full employment. The Broken Window fallacy is not “crowding out”. It is a fallacy that is consistently cited as a reason why destruction is an opportunity for economic expansion. Viewing the economy as a flow instead of a stock is the fundamental problem underlying the Broken Window. When capital is destroyed, people are worse off. You are correct. I do not understand mainstream macroeconomic theory in the sense that I do not understand how very intelligent academics, scholars, and politicians continue to accept and spread the lies that form the foundation of neoclassical economics. When micro and macroeconomics are separated and treated as independent animals, I know there is a problem. My understanding of macroeconomics comes from a microeconomic foundation — which I don’t think neoclassicals can maintain. The foundation of economics is individual human action. We all make individual choices in the market place. This fundamental value is overlooked when economic variables are over-aggregated, analyzed, and policies are prescribed for the entire economy. People are not just pawns on a chess board, subject to the whims and “infinite knowledge” of central planners. Knowledge is dispersed amongst the millions of people making up an economy, and that knowledge can only be tapped through the free market where prices accurately reflect supply and demand and allocate capital to where it is truly valued. When we have governments that act on the assumption that capital is homogenous, capital is directed toward items that we do not value as individuals. This in turn leads to price distortions, wrong economic signals for investors, and eventually the creation of the increasingly destructive business cycles we see today. So you may continue to affirm that I do not understand economics, but maybe taking a step back from all the neat models of neoclassicism and evaluating the fundamentals of economics that truly drive the economy would be rewarding to you in your quest to understand the world better. The Parable of the Broken window is often cited as an example of crowding out. 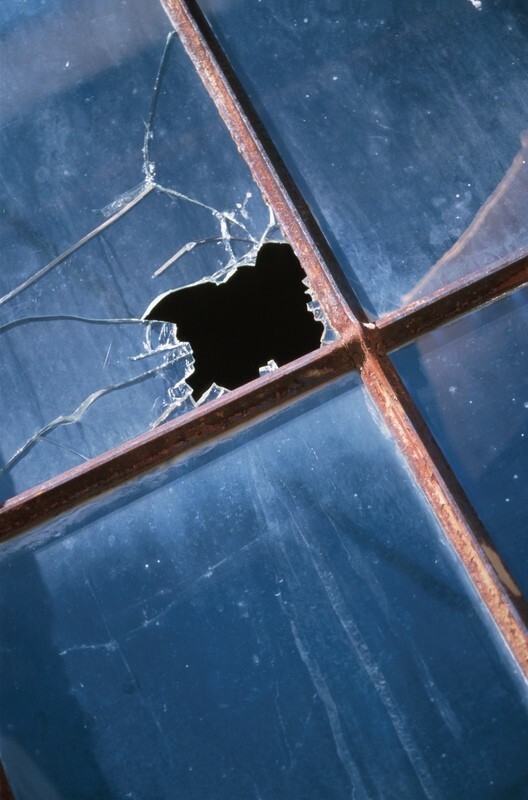 Furthermore, the Parable of the broken window isn’t necessarily true in many situations. For example whenever the labor market is experiencing a high rate of unemployment, or if the velocity of money is decreasing. Finally a good economic statement isn’t one that relies on being universally correct. This is because a good economic statement is normally one that is conditional. Finally I would like to point out that vector-auto regression models suggest that central banking policy may have played a very small role in producing this economic crisis. Instead the focus should be more on changes in laws and long term interest rates. First of all, I would like to thank you for finding my blog and taking the time to respond to my latest post. I am always open to a fruitful discussion. When looking at our latest crisis, it is important to figure out why the market crashed and what caused the recession: a misallocation of capital that creates the need for market correction. This market correction, as we have seen in the housing market over the past few years, is not deflation. It is the process of moving misallocated capital from where it is currently not in demand to sectors where true demand lies. The Fed’s easy money policy throughout the early 2000s, combined with federal lending initiatives that encouraged banks to lend to risky buyers (because they guaranteed all the mortgages and therefore caused moral hazard) propped up the housing market artificially. The logic that house prices could rise forever is ridiculous. After the collapse, the Fed cut interest rates even more, and now is meddling in the long-term bond market because their over-aggregated models tell them this will stimulate economic growth, and it may in the short term. But, that artificially low-priced money will find its way into another bubble. It’s rather funny to watch congress, the President, and the Fed all continue to use the same policies and expect different results. What we need is true market prices acting as signals in the money market, and ideally, all other markets as well. As painful as it may be, we can’t continue propping up the housing industry. Prices must be allowed to bottom out. This is the only way we will see recovery, not through spending trillions of dollars and inflating our currency away. Fluctuations in the business cycle are primarily caused by changes in the money supply and a change in technology(innovation). During the early-middle 2000’s it became quite obvious that our central banking system would eventually start increasing interest rates, and by 2005 the prediction was fulfilled when the overnight lending rate settled at 3-5%. Despite the apparent trend that interest rate policy may have been changing, such things as CDS, Mark-to-Mark accounting, ARM’s, had been growing at a geometric rate since the late 90’s, and their growth continued despite recent interest rate policies. Henceforth, asset speculation continued to occur throughout the decade despite changes in interest rate policy. Furthermore, these interest rate policies may have indeed caused a change in the money supply. This is derived from the fact that the velocity of money started to decrease in 2005, but housing prices still increased until 2007. In brief some key indicators imply that monetary policy in the 2000’s may have had very little impact in fostering the housing bubble, and therefore the primary culprit should be the speculation that was fueled by financial innovation. The idea that the expectations of investors can be motivated even in the absence of low interest rate monetary policy isn’t surprising. For example the Tulip Bubble of the 17th century, and the comic book bubble of the 1990’s was most likely driven by this kind of thinking. This entry was posted on November 20, 2011 at 5:50 pm and is filed under Current Markets & Investments, Economics.You can follow any responses to this entry through the RSS 2.0 feed.You can leave a response, or trackback from your own site.